Designed to go the distance and are the choice for remote operation over extended periods. 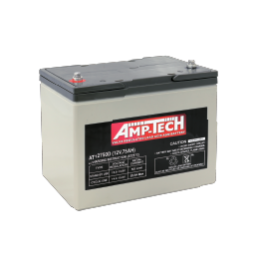 AMP-Tech batteries use oxygen recombination technology and are all maintenance-free batteries. 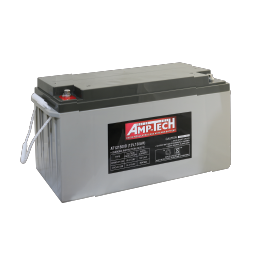 They have special grid alloy that produces less gassing and less self-discharging providing a longer cycle life. 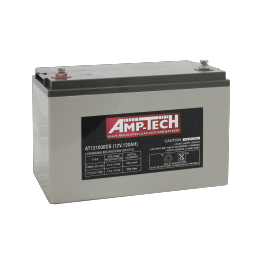 With special paste formula, thicker plates and additives for deep discharge and anti-vibration design, AMP-Tech delivers a longer life, reliable battery for Caravanning, Camper trailers and Motorhomes with and without Solar applications.High quality AGM separators provider additional extend cycle life and prevent micro short circuit. 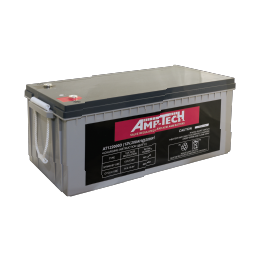 ABS material increases the strength of battery container. 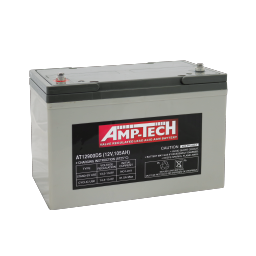 In addition, Amp-Tech has VRLA batteries designed for Security & Small Power supply such as NBN batteries and Home alarm systems.